(Notes: This style of Fuel Pump benefits from: 1) No Extended Cranking in order to start engine after running out of fuel 2) Long Life: No bearing or diaphragms to wear out of fatigue. 3) Corrosion resistant: The steel case is plated for corrosion resistance, thus provides longer life. This is a universal fuel pump equivalent to the Bosch Â‘070Â’ type performance fuel pump (0580464070). which can be adapted to fit many petrol/ diesel engines. 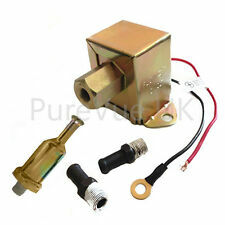 Universal 12v Fuel Pump. This is primarily sold as a universal fuel pump and is to be bought on the understanding that modification may be needed when fitting. 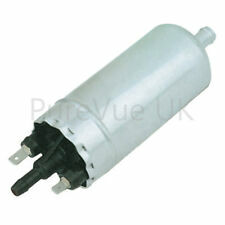 This is a Facet type “solid state” fuel pump for use with petrol or diesel carburettor engines. Universal Size: Fits to all carburettor equipped cars/vans and light trucks. Universal 12v Fuel Pump. 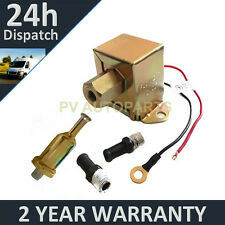 There are a number of benefits to using this type of fuel pump. 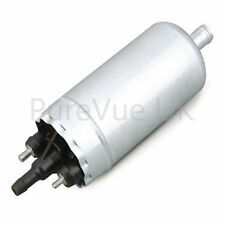 This is a universal fuel pump which can be adapted to fit many petrol/ diesel engines. This part has spade connectors as pictured. Universal 12v Fuel Pump. This is primarily sold as a universal fuel pump and is to be bought on the understanding that modification may be needed when fitting.